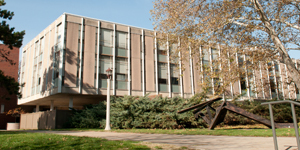 Centennial West opened in 1955. The building was extensively damaged in a fire on November 28, 1963. The restoration cost was much less than originally planned because of the swiftness of University employees who cleaned up the building the day of the fire.